I found one thing I miss from living in Utah, the Sundance Film Festival in Park City. I took this photo in 2014 on our annual–go see what it’s all about—visit. We had the opportunity to say hello to Sam Shepard and to Gilles Marini. Getting back to the work at hand. It’s difficult to keep the processes and steps straight with three projects on the go, no four! I’m waiting for an order of paper to finish the last two copies of my book entitled Conversation. After two months, finishing these copies with my notes might be a challenge!! Meanwhile, I’m tinkering with Tinkercad for my second book entitled Finding Home. An emotional project that tackles my experience of living in Idaho while still rooted in Canada... I will discuss the many changes and end product later. I am learning the ins and outs of 3D printing and enjoying the sculptural facet of the process. A third print is happening today and will take nine and a half hours to print over 497 layers. Fascinating! I thought it might be fun to sit and take photos as my object was printing till I saw this timelapse video of a Ultimaker 2 printing a deer. Have you ever heard the expression “it’s like watching paint dry”! The binding and slipcase for my artists’ book Xtraction is also in the queue to be 3D printed, hurray! While we wait for paper and prints, lets look at the steps it took to create the flip book for Xtraction. The idea grew from this X-ray. In this instance I used a mix of stills and video taken with my Sony D-SLR. 3. 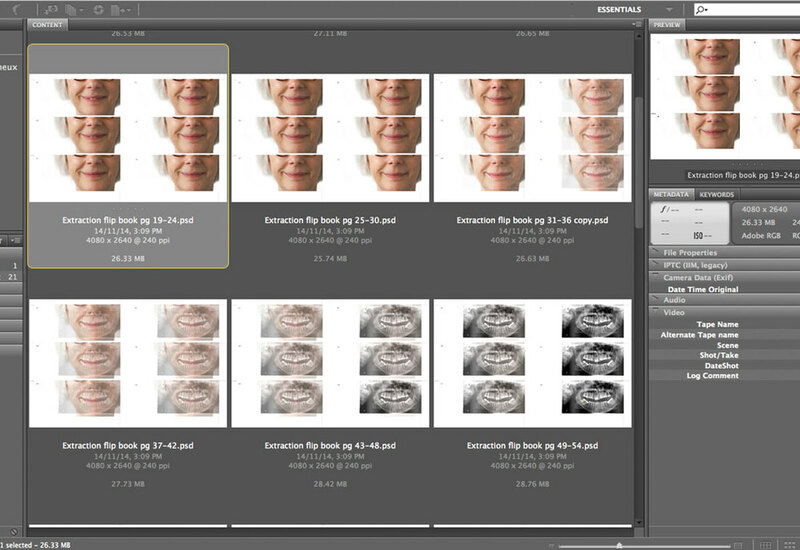 Once, the layers are all chosen and sequenced, they are resized into another Photoshop template, I number all the pages—yes, number, it makes it easier to sort. Have you ever had 120 unnumbered pages fall to the floor and not knowing the sequence? I have! FUN! FUN! FUN! 7. Each page goes through a five steps cutting process, this ensures perfect placement of image on each page. The time taken in properly cutting each page properly gives a smooth action when flipping pages. I know these steps by heart after cutting pages for 156 flip books in the last 3 years. First cut is done by dividing the sheet in half. The second cut is done by following the cutting lines for the top of each page. Making sure that all the pages are trimmed at the exact same place on the right edge is the third cut. 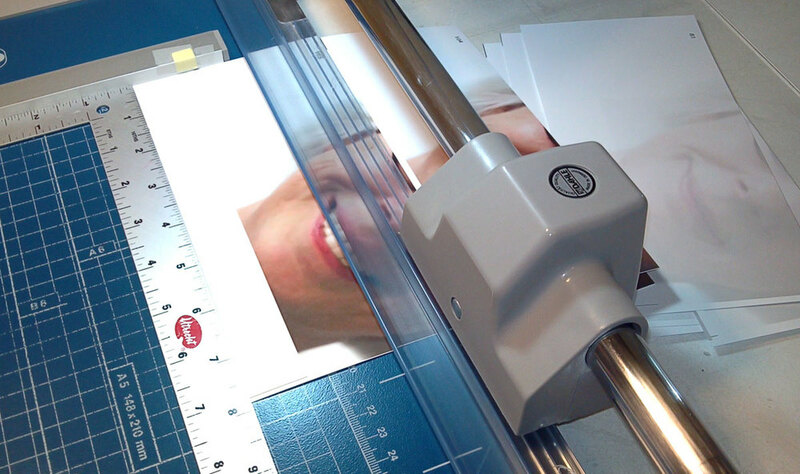 The fourth step is to properly cut the bottom of each page by using a straight edge that will not move. The last and fifth cut is the left side with a pre-determined length for the flip book. Voilà, one finished flip book. I will have photos of the completed project next week. The fourth project I mentioned above is the image manipulation, printing and cutting of the last volumes of City Shields. Forever! This will take more than a week, need to get going.